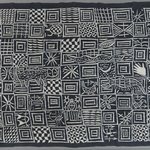 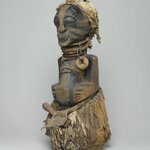 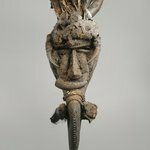 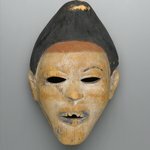 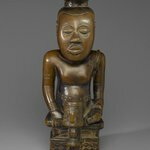 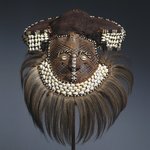 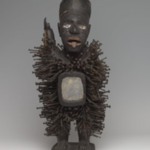 The Brooklyn Museum acquired its first works from sub-Saharan Africa in 1900, just three years after the Museum opened its doors on Eastern Parkway. 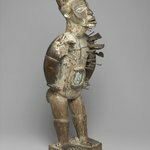 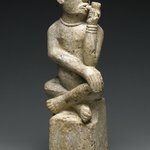 Today the collection numbers over five thousand items, making it the largest collection of African art in an American art museum. 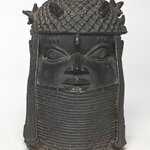 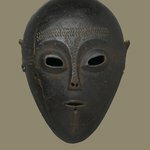 The collection of sub-Saharan African art is focused on the arts of West and Central Africa, while the arts of Islamic North Africa and of ancient Egypt should also be noted (they are described under Islamic Art and Egyptian, Classical, and Ancient Middle Eastern Art). 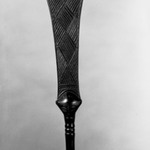 The core of the sub-Saharan collection was acquired in 1922 through purchases in London, Paris, and Brussels. 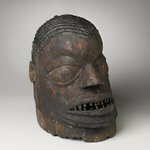 The following year the Museum displayed fifteen hundred pieces in what was one of the first exhibitions of African art in the United States and which remains the largest exhibition of African art ever held. 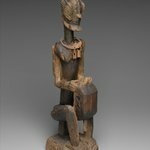 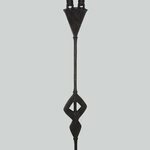 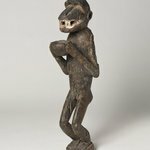 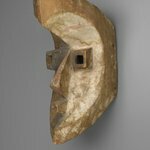 Most of these pieces were from the Democratic Republic of the Congo, and the collections of Kongo, Kuba and Luba art are especially rich. 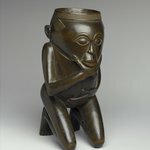 Today the collection has works spanning more than 2,500 years. 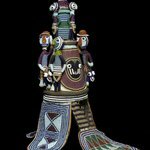 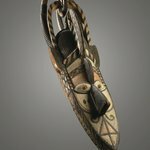 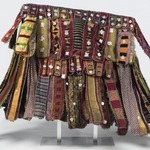 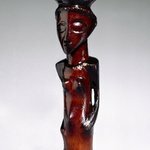 It ranges from figurative sculpture, Berber jewelry, and West African masks to East African beadwork, Ethiopian processional crosses, and a contemporary ceramic vessel by the Kenya-born artist Magdalene Odondo. 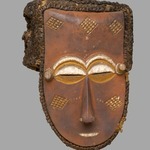 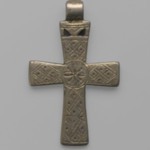 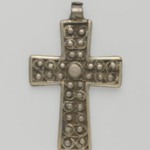 Over a hundred different cultures are represented in the collection. 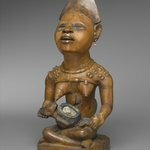 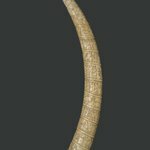 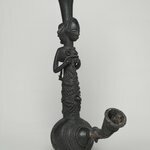 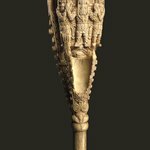 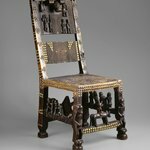 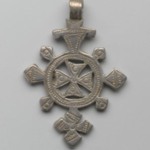 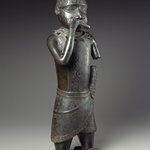 Among the most noteworthy pieces are a figure of a hornblower—cast in brass for the king of Benin in the sixteenth century—and an ivory gong also made for the royal court in Benin at about the same time. 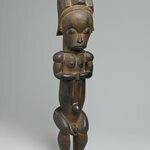 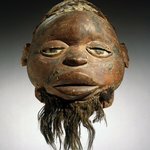 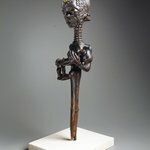 A seventeenth-century figure of a Kuba king is the only one from that period in North America, and a Lulua mother-and-child figure is world-renowned.